First, a big round of applause to Logik for recording an unbeaten run-length of 50! You get this shiny badge, sire! 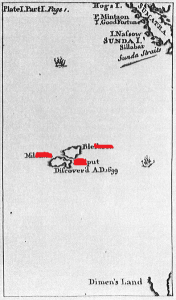 Which term in computer science is a reference to the ” holy war” between inhabitants of the two Islands shown below? Answer: The terms little endian and big endian’s etymological roots can be traced to the book “Gulliver’s Travels” where people from the islands of Lilliput and Blefuscu fight a holy war because they cannot agree upon which side a boiled egg has to be broken from. The use of the terms “Big-Endian” and “Little-Endian” in the story is the source of the computing term endianness. Big-Endian (people who break the egg at the larger end) and Little-Endian (people who break the egg at the smaller end). War between Blefescu and Lilliput in Jonathan Swift’s Guliver Travels. The conflict was over which end of a soft-boiled egg to break and divided the islands into camps of little-endians and big-endians. Endianness in computer terms references which way the bits are stuffed into memory addresses. MSB or LSB, first. Can’t wait for, “Pie are round… Cornbread are square.”! Endian. Big-endian vs. little-endian. With respect to integer encoding. Thanks. Had no idea abt this!!! Lilliput (the little-endians) and Blefuscu (big-endian) from Gulliver’s Travels. 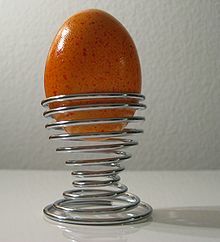 “Endian-ness” arose out of a dispute over which side the egg should be broken. 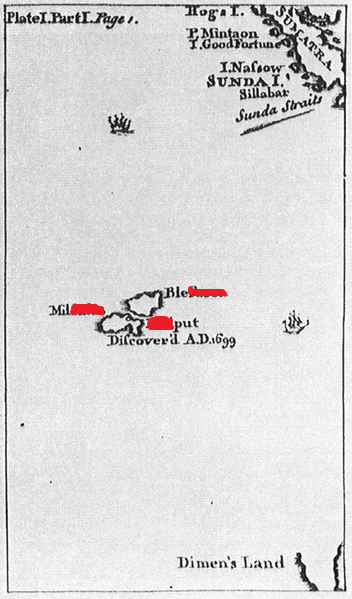 The two islands are Lilliput and Blefuscu, which are fictional island nations from Gulliver’s Travels. ah, Big-endian and Little-Endian. Endianness. Jonathan Swift – Gulliver’s Travels. Islands of Lilliput and Blefuscu’s fight over which side of the egg is to be broken first. Hence the terms, little-endian, and big-endian. Endian: Big Endian, Little Endian. War based on whether to break an egg from the big end or the little end. Big endian vs Little endian. In the discipline of computer architecture, the terms big-endian and little-endian are used to describe two possible ways of laying out bytes in memory; see Endianness. One of the satirical conflicts in the book is between two religious sects of Lilliputians, some of whom who prefer cracking open their soft-boiled eggs from the little end, while others prefer the big end. word, or the bit from the big end of the word”. ‘Endianness’ is the term originated from the ‘holy-war’ between Lilliput and Blefuscu over whether to crack open soft-boiled eggs from the little end or the big end. Big Endian and small endian. Which side of a egg to break? The terms Little-Endian and Big-Endian. Gulliver’s Travels by Jonathan Swift (1726), wherein two island nations “Lilliput” and “Blefuscu” argued over whether to crack open their soft-boiled eggs from the little end or the big end. Endianness is the ordering of individually addressable sub-units. Mixed forms also called “middle-endian” are also possible. The terms Little-Endians and Big-Endians were introduced in 1980 by Danny Cohen in his paper “On Holy Wars and a Plea for Peace” Cohen’s paper uses Gulliver’s Travels by Jonathan Swift (1726), wherein two religious sects of Lilliputians argued over whether to crack open their soft-boiled eggs from the little end or the big end,as an allegory for the byte order (aka Endianness) issue which became crucial when computers became interconnected with each other by networks. Endianness from the dispute on which side of the egg to break among Lilliput’s inhabitants. The term big-endian originally comes from Jonathan Swift’s satirical novel Gulliver’s Travels by way of Danny Cohen in 1980. In 1726, Swift described tensions in Lilliput and Blefuscu: whereas royal edict in Lilliput requires cracking open one’s soft-boiled egg at the small end, inhabitants of the rival kingdom of Blefuscu crack theirs at the big end (giving them the moniker Big-endians).The terms little-endian and endianness have a similar intent.